If Sherlock Holmes had been allergic to dogs, the case of The Hound of the Baskervilles could have turned out much differently. However, he just so happens to be deathly allergic to cats—that’s according to Stephen King rather than Conan Doyle. Fortunately, Watson’s powers of observation and deduction will be sufficient to solve this case while Holmes’ watery eyes uncharacteristically fail him. Years later, a much older Watson will look back on those fateful events in James Douglas’s The Doctor’s Case (trailer here), which screens during the 2018 Kew Gardens Festival of Cinema. Decades ago, Lestrade summoned Holmes and Watson to investigate the murder of Lord Albert Hull, because it appeared to be a truly classic locked room murder case. Ironically, Watson now finds himself back in Hull manor, after it has been transformed into a WWII military hospital, as a patient, no less. Fortunately, the chief of nurses, Captain Norton is a fan of his Holmes stories, so she listens eagerly to Watson’s tale. He did indeed solve the mystery, but he also received an unsettling lesson in human nature. Although this adaptation of King’s short story started its life as a so-called “Dollar Baby,” it is nearly feature length at sixty-five minutes and features a highly geek notable cast. William B. Davis, the “Cigarette-Smoking Man” in The X-Files is terrific playing against type as the kindly old Watson, whose eyes honest-to-gosh twinkle. He also develops a wonderful rapport with Denise Crosby (Tasha Yar in Star Trek: The Next Generation), who is also quite warm and vigorous as Norton. Michael Coleman (from Once Upon a Time) is similarly earnest and engaging as the young Watson, while J.P. Winslow is suitably high-handed as the slightly incapacitated Holmes. King himself deserves credit for inventing a somewhat unlikely but still rather clever mystery. Douglas and “co-director” Leonard Pearl maintain a brisk pace while slyly observing and tweaking the conventions of Holmesian mysteries. There is also a stinger that will be pure joy for Holmes fans. It is all quite a jolly entertaining romp that should appeal to fans of King and Doyle alike, but the greatest revelation is the hitherto unseen charm and range of Davis. 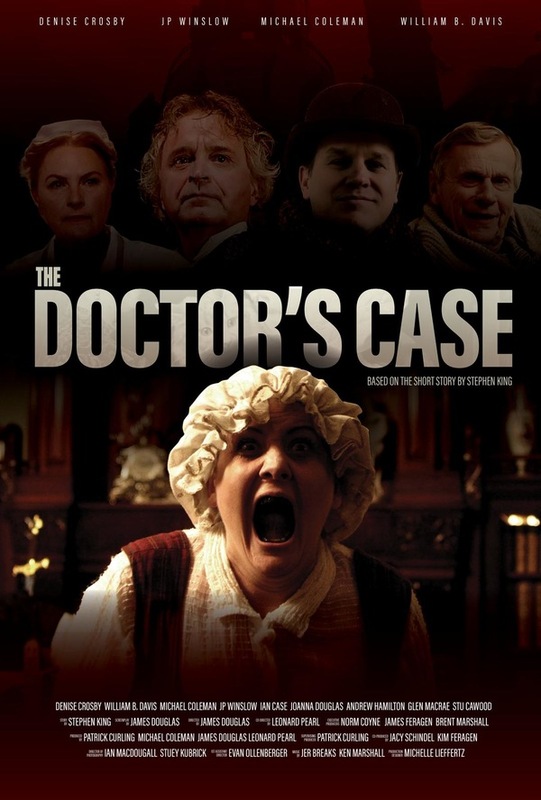 Very highly recommended, The Doctor’s Case screens this Saturday (8/11) as part of the Kew Gardens Festival of Cinema.